While it’s not commonly talked about, waterless cooking has been around since the 1930’s. It’s touted as an innovative cooking technique that utilizes the pre-existing moisture in your food instead of added water or fat. Many companies sell purpose built cookware that’s designed especially for waterless cooking. But which brand is best? Even a fairly lax examination of waterless cooking will quickly reveal a simple fact: it’s pretty much the same as cooking normally. Waterless cooking recipes can be executed flawlessly in normal pans with only the smallest of modifications, if such modifications are necessary at all. There’s further evidence for this claim when you examine the “special features” of purpose-built waterless cookware. Such cookware is functionally identical to regular multi-ply stainless steel cookware with only a single exception: the lids. Do the lids matter? Yes, a little. 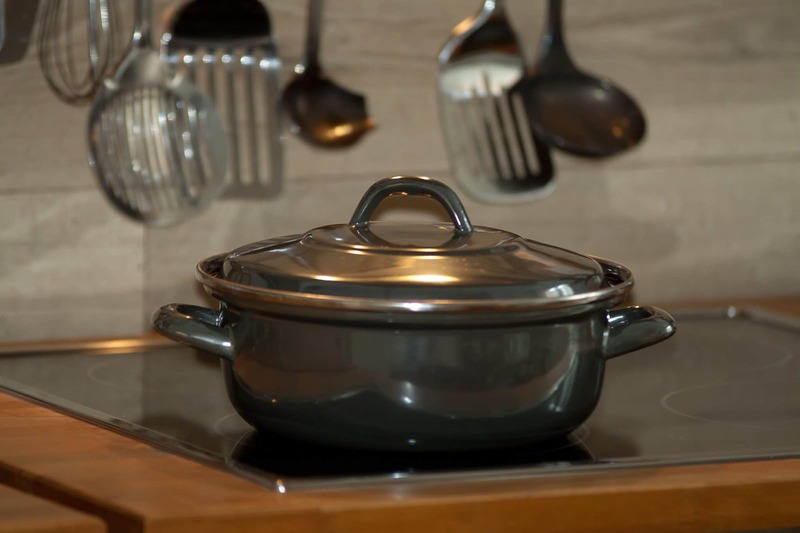 Companies that manufacture waterless cookware pay special attention to how well the lids fit. 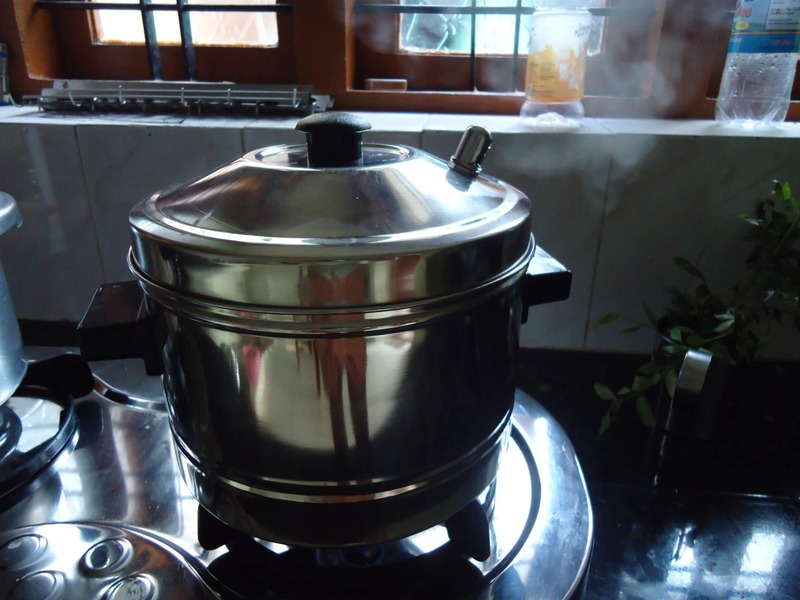 They often equip these lids with adjustable steam valves that allow you to control how much steam escapes while you cook. In my personal experience, these valves are not necessary at all. I tried to make a number of waterless cooking recipes at home with my totally ordinary cookware and had zero problems. On a single occasion, I felt like my food was “losing too much moisture” through the non-adjustable steam vent in my lid. Not only did adding a tablespoon or so of water to the pan totally fix this issue, most of that water was still present in the bottom when cooking concluded. After my testing, I am confident that you can use any modern cookware set for your waterless cooking recipes. Any brand. Any material. Any cooking surface. All you need is a lid that fits fairly well. If you’re looking to pick up a new cookware set, however, there’s nothing wrong with choosing one that will handle waterless cooking exceptionally well. This set is one of the best choices for anyone who does a lot of waterless cooking. If you’d like a more general purpose set you can also use in your waterless cooking, this is a perfect choice. This 17-piece cookware set is purpose-built for waterless cooking. Carefully crafted lids fit each pot and pan very closely, trapping in the maximum amount of moisture and heat. Each lid features a steam valve that lets you control how much of this moisture and heat is let out. The combination of these two features makes this one of the best cookware sets you can buy for waterless cooking. Like other modern stainless cookware sets (including those not built for waterless cooking), this set is made from aluminum sandwiched between layers of stainless steel. The steel forms a hard, durable exterior and a safe, easy to clean cooking surface, while the aluminum keeps the cookware light and helps to distribute heat. This isn’t a non-stick set, which is a plus in some ways. While you’ll spend slightly more time cleaning this cookware set and you’ll have to keep a close eye on your food temperatures, you’ll also never have to replace it because the non-stick wears out. With a bit of practice, you’ll find that cooking most dishes is just as easy on a stainless steel surface as a non-stick one. One of the best features of this set is its low cost. Sure, it’s not the cheapest general-purpose cookware set you’ll find, but it’s on the low end of purpose-made waterless cookware sets. Feature-wise, it stacks up just fine against stainless steel waterless cookware sets that are advertised at thousands of dollars. It’s got the same multi-ply construction, the same well-fitting lids, and the same added functionality from the steam control valves. Overall, the Maxam KT17 set is one of the best choices for anyone who does a lot of waterless cooking and feels like they need the extra control given by a steam valve. It’s durable, high-quality, and reasonably priced, making it an incredibly good buy. While this Calphalon set isn’t necessarily made with waterless cooking in mind, it’s one of the best sets on the market for making waterless recipes. The reason is simple: it’s got a special set of features that let you emulate the functionality of a steam valve with a simple twist of the lid. 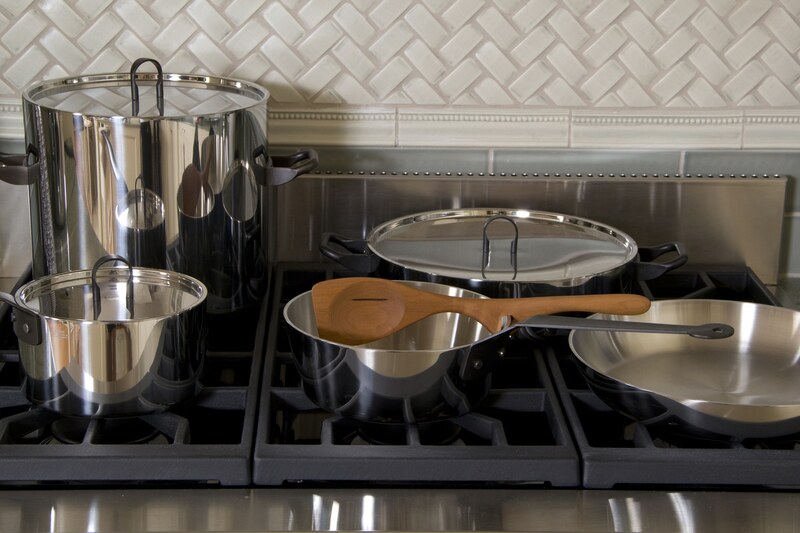 Like specialty-built waterless cookware, the Calphalon classic line is made from a mix of steel and aluminum. It’s not exactly the same in this respect, however. This particular Calphalon line has an aluminum base with a stainless cooking surface instead of full multi-ply construction. In practice, however, you’re very unlikely to notice a difference. The lids on this set have strainer holes which can be lined up with an included pour spout. This set of features gives you an incredible amount of control over how much steam escapes from your pots and pans while you cook. If you line up the holes with the spouts, steam will come out of the holes. If you turn the lid so that the holes no longer line up with the spouts, the lids will instead form a fairly effective seal and limit the amount of heat and moisture that escapes from your pan. While you can do some impressive waterless cooking with this set, it’s also one of my favorite cookware sets overall. Not only are the strainer lids incredibly handy for pasta, the pots also have fill lines on the inside that let you measure without the need for additional tools. I tend to use this for soups, stews, and other dishes that don’t qualify as “waterless,” but you’ll probably still get plenty of use out of these measuring lines no matter what you cook. This all-metal set is dishwasher safe and can go in the oven to a fairly high temperature, especially if you leave the glass lids in your cupboard. It’s got a limited lifetime warranty, signaling that Calphalon expects these pots and pans to last for a long time. The strong materials used in their construction and the incredibly durable cooking surface mean that you’ll probably still have this set in ten years. If you’d like a more general purpose set that you can also use in your waterless cooking, the Calphalon classic line is a perfect choice. I’m personally a fan of the stainless option, but you can go with their very similar non-stick line instead if you’d prefer. Bear in mind that the non-stick coating on these pots and pans WILL fail eventually, meaning this set won’t last as long as the stainless version. What About Waterless Cookware Brands? While I don’t want to disparage the actual cooking techniques used in waterless cooking, you should take everything that waterless cookware brands say with a grain of salt. There’s a lot of applied creativity involved in many of the recipes that I’ve tried, and the simple cooking methods have resulted in tasty meals that I wouldn’t have normally prepared. That said, I can personally verify that you can get identical results from totally normal cookware. This means that you should really be careful when you evaluate the marketing claims that waterless cookware brands make. For my own kitchen, I’d choose the Calphalon set above over a KitchenCraft or VapoSeal set in a heartbeat. If you’d prefer to have “authentic” steam valves, however, I’d suggest the Maxam set above. While the brand might not be quite as prestigious, the quality is just as good. 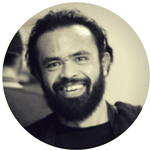 In my experience, you can simply take a waterless cooking recipe and use your normal pots and pans to make it. No fuss or substitutions required. This is because waterless cookware and normal cookware is very, very similar. 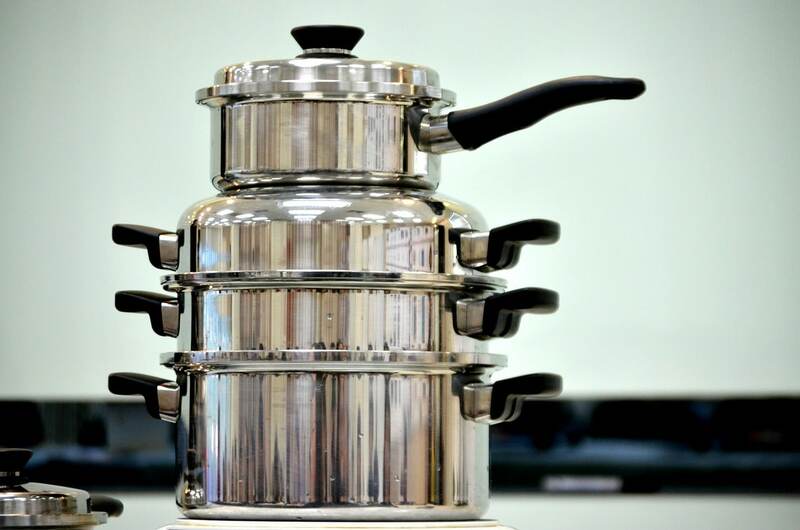 The biggest difference between waterless cookware and regular cookware is the presence of a steam valve. 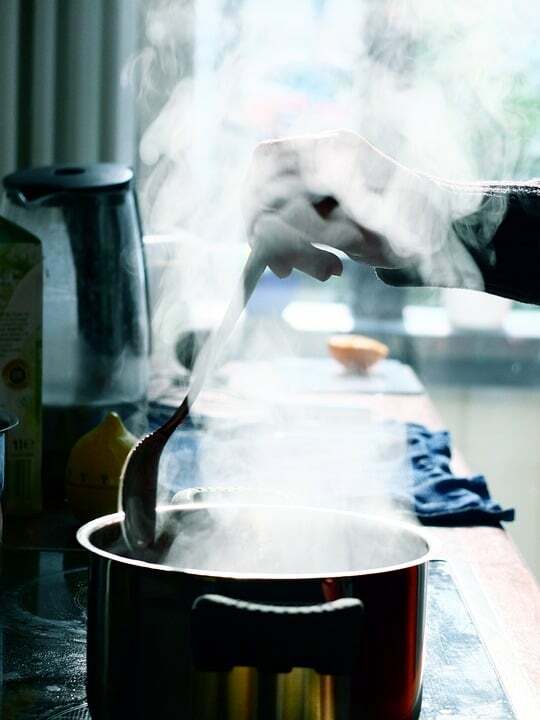 Without a steam valve, it’s harder to control how much heat and vapor escapes from your pot or pan. If your set is like the Calphalon Classic set above, you can simply turn the lid to control how much water escapes from the built-in strainer holes. Otherwise, you’ll have to settle for propping the lid slightly open for valve-open recipes and putting it on squarely for recipes that call for a closed valve. This approximation isn’t quite perfect. In order to compensate for this, you may feel like it’s necessary to add a tablespoon or two of water to your dishes. This won’t hurt anything, of course, since it’s just water. All you’re doing is replacing any moisture that escapes as steam. Is adding water allowed in waterless cooking? Yes. Many of the waterless cooking recipes I looked up called for a similar addition of water at some stage. 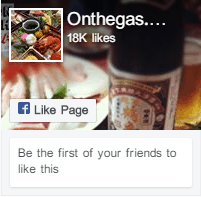 It turns out that the name of this cooking style is somewhat misleading. It should probably be called “fat-less” cooking instead. If you’re a big fan of waterless cooking and you know you want actual steam valves, the Maxam KT17 set gives you everything you need to make low-fat meals at home. If you think you’ll dabble in other types of cooking, however, the Calphalon Classic line lets you emulate the functionality of these steam valves with the holes in their strainer lids. In either case, you’ll be able to cook delicious meals.